How much mess can I handle? What do I want to do with my dog? Adopt/Rescue a Dog or Purchase From a Reputable Breeder? What Are the Risks of Adopting a Rescue Dog? Why Should You Buy a Dog from a Breeder? What Are the Risks of Buying a Dog from a Breeder? The kids have been begging for months, and you and your partner are finally willing to consider a dog. Perhaps you live alone and have found time to welcome a dog into your life. Maybe you and your partner aren’t ready for a real baby, but are excited to get a fur baby to love. No dog is a perfect fit for every family, but everyone can find the right dog for them with careful consideration, as long as they have time and love to give. Read on to decide whether you should rescue or buy, choose an adult dog or a puppy, and learn the top questions to ask before adopting a dog, as well as what questions to ask a rescue or breeder. Many people choose a breed because it is the breed they grew up with, or because they know and love a dog of a particular breed. While it makes sense to choose a breed that is familiar to you, be careful about making a decision about a dog based on these factors. Ask your parents about your childhood dog and talk to the owners of dogs you know to see what living with those breeds is really like. Make sure you are choosing the right dog for YOUR lifestyle. All dogs demand your attention and energy. Daily exercise and playtime with your dog is part of the fun of loving her. That said, some dogs are happy with less exercise and attention than others. Individual dogs of any breed or mixed breed may have different levels of demand. 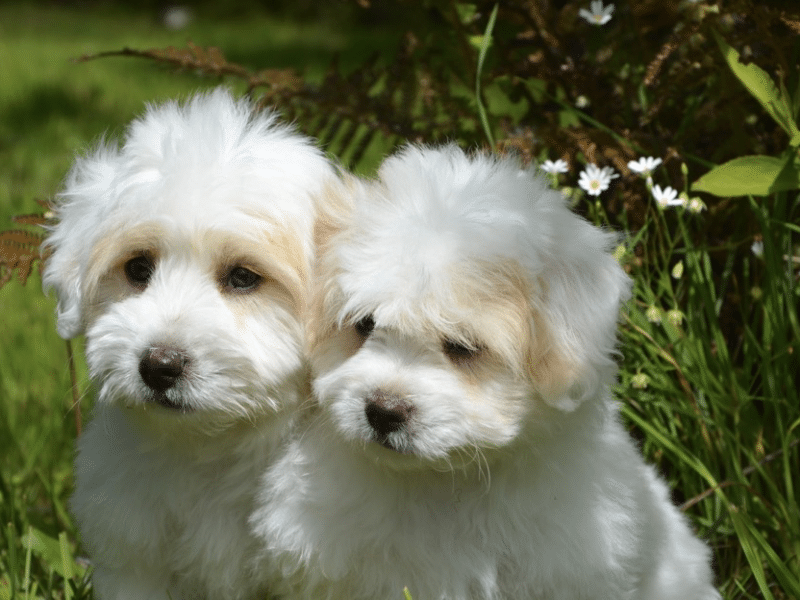 If you are choosing a breed, research carefully to choose a breed that matches your time commitment and energy level, and interview the breeder about which puppy from the litter most closely matches your needs. If you are adopting, foster first so you can get a sense of how well a given dog may do with your lifestyle. All dogs bring a little more dirt and hair into the house, but some are MUCH messier than others. Dogs that drool and drink messily can make a damp, sticky mess of the floor and furniture. Dogs that shed excessively will have you vacuuming constantly to keep back the tide of hair flurries. Large, energetic dogs can quickly damage hardwood floors and furniture. The more naturally destructive your dog is, the more work you will have to do to train her not to do damage, as well as clean up after the mess she can’t help. Dogs that shed a lot can be frequently brushed or even vacuumed to remove excess hair, but this can take up a lot of time. Some breeds tend to naturally keep themselves clean, while others love a good mud puddle like nothing else. 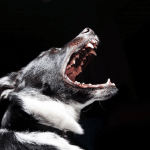 You may love the funny looks and behavior of some of the messier breeds or mixed breed dogs that you meet, but be honest about how an individual’s dogs behavior, shedding, and drooling may affect your life. Calculating how much a new dog may cost your family over her lifetime can be very difficult. Chronic health conditions can rapidly add up, and while you may have a limit on how much you’ll spend, when it comes to it you may have a hard time making the difficult decision to stop spending. Some breeds are generally healthier than others, but all breeds are prone to genetic health problems that may occur, as well as the probability for any other problem unrelated to breed. Pet health insurance is a way to safeguard your family from some of the medical spending that may come up in your dog’s lifetime. Carefully check a policy before making the decision to get health insurance for your dog, since some insurance does not cover breed related medical issues or has other exclusions. Large dogs eat more and buying beds, harnesses, crates, etc. for a large dog is more expensive as well. Choosing a dog with known health problems comes with known and unknown costs. This seems like an obvious question, but many people know they want a dog without necessarily knowing what they plan on doing together. Are you most excited about snuggling on the couch together and watching TV, or do you want a companion to go jogging, biking, or kayaking with? 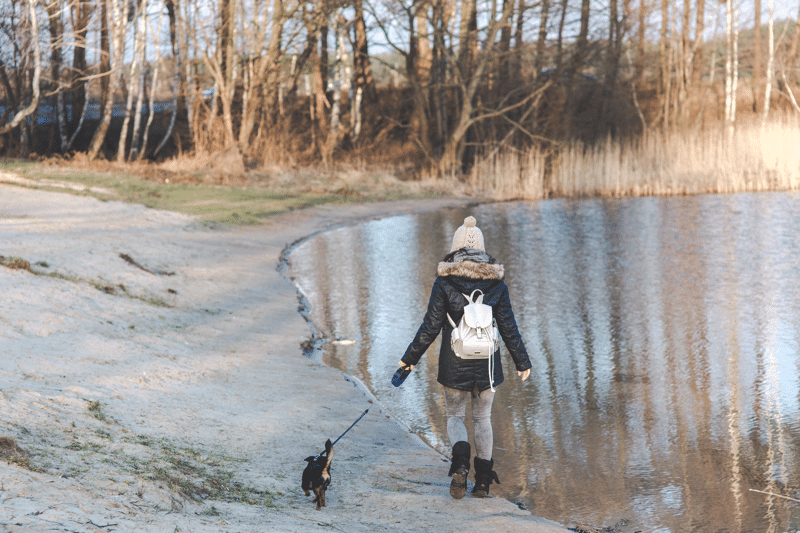 There’s no reason that your dog can’t do everything with you, but prioritizing what you most want to do with your dog will help you to choose the right size, energy level, etc. for you. If you have made the decision to adopt a rescue dog, the interview process is an important step towards deciding if a given dog is right for you. Make sure you know what questions to ask before adopting a rescue dog. If you have made the decision to purchase a puppy from a breeder you have a great opportunity to get to know everything about not only your puppy, but your puppy’s parents and extended family. You also have the opportunity to see where your puppy has been born and grown up. It may seem unimaginable to breed dogs solely for profit, but sadly that is the case for too many breeders. Here are some questions you can ask a breeder to determine if you should consider buying a puppy from them. Dogs that are certified with the AKC may have a three generation pedigree that provides information for 14 immediate ancestors, or a four generation pedigree that has information for 30 immediate ancestors. Such a pedigree allows you to research not only your prospective dog’s parents and grandparents, but many relatives so that you can check the family tree for traits and problems. 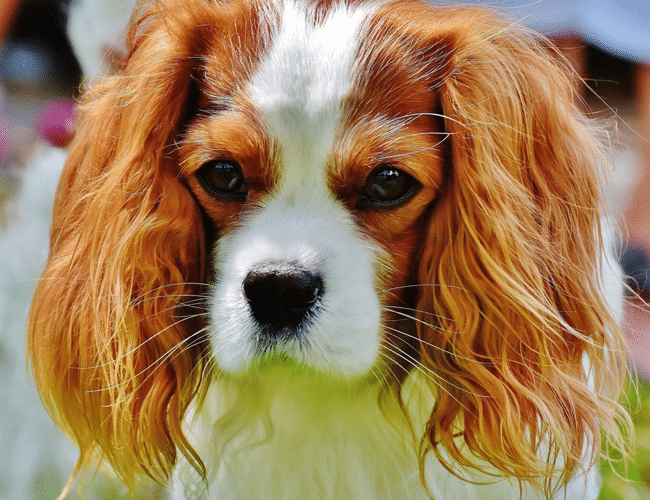 While there are surely good breeders that don’t register with the AKC, AKC registration shows commitment to the breed and comes with the ability to research ancestry. Be wary of breeders that offer no pedigree. While they will cost less upfront, unregistered puppies are more likely to have problems down the road. You can find breeders that are in good standing with the AKC here. All breeds are prone to particular health problems that are well documented within the breed. Research the breed that you are considering to see what kind of screening is recommended and ask for that screening. Some diseases are tested for in adults while other problems, like deafness or blindness, are tested for in puppies as well. You will pay more for dogs that have health screening, but you will save in heartache and medical bills later on. Health screening may also affect insurance coverage. Do you compete in AKC shows, field trials, etc.? Breeders who actively engage their dogs in a competition are more likely to be continuously working to improve the breed. While this shouldn’t be a deciding factor in choosing a breeder, hearing an enthusiastic breeder talk about the things she loves to do with her dogs can help you get to know her and what she strives for in the dogs she produces. Can I meet the parents or other families? Seeing healthy screens and pedigrees is great, but there is nothing like putting a face to the name of your prospective pup’s family. Meeting your puppy’s parents and other family gives you an opportunity to see the behavior of the adults, as well as how the breeder interacts with her dogs and how dogs and puppies interact together. Can I see where dogs are kept? Puppies that are well socialized from birth are more likely to be outgoing and react positively to new experiences. Good breeders should spend a lot of time with puppies, and puppies should be exposed to a home environment, as well as a variety of stimulus and terrains from an early age. Good breeders practice handling their puppies’ mouths, feet, and bodies in a positive way from the beginning so that puppies will be deeply comfortable with human touch. They also expose developing puppies to a wide range of stimulus. Longtime breeder, judge, and handler Pat Hastings discusses the importance of the “rule of seven” in novel experiences for young puppies. Learn about a breeder’s socialization routine and puppy-rearing style, as well as how she keeps her breeding dogs. Many breeders won’t allow you into a whelping area to reduce stress for mothers and puppies, but they should provide you with a video feed of the room. 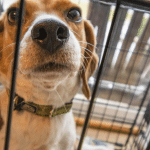 Bumper stickers and stories abound: rescue don’t buy! Save a life! My dog rescued me! Rescued dogs really can make amazing pets. Overcoming trauma and dealing with loss can develop a deeper empathy and appreciation in a rescue dog than a puppy who has never experienced such pain can develop. Rescued dogs can grow to love their human family even more deeply because they have experienced neglect or abuse. Sometimes rescued dogs are good family pets who had to find a new home due to no fault of their own. A rescued dog can move seamlessly into your home. The potty training, leave it training, come when called, etc. may already be well learned. People who rescue such dogs marvel that all the work was done for them. You can save money getting a pet from a shelter as well. Adoption fees are often low and may even be waived from time to time. A rescued puppy can be a lot of fun. There are lots puppies at different ages to choose from, and frequently a shelter will have the entire litter and perhaps the mother, so you can get a higher level of predictability. Rescuing a dog from a shelter saves a life and gives an amazing creature a new shot at life. If you have time to do some rehabilitation and are willing to take a bit of a risk, a shelter dog could change your life in an incredibly positive way. If you are looking for more reasons to adopt, the humane society lists plenty of reasons. The risks associated with adopting a rescue dog depend highly on how much history you have. 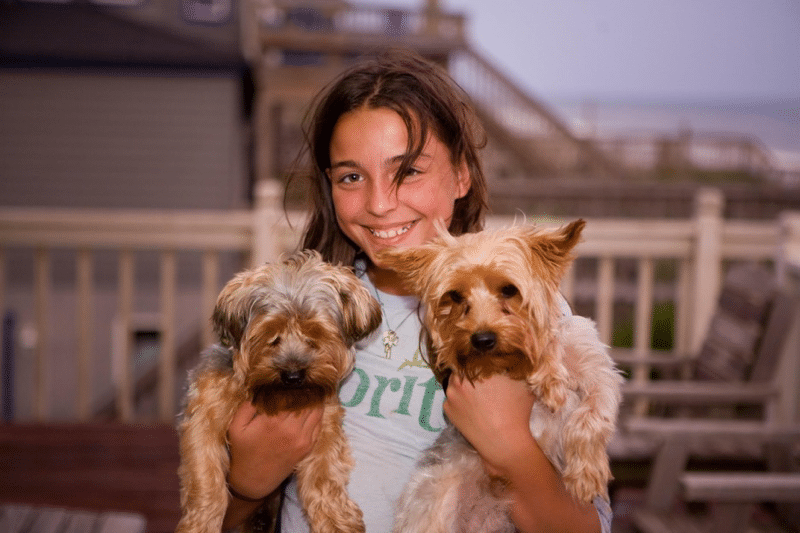 If you know that a given dog has always been great with kids and other dogs, then you may feel more confident trying her in your home if you have kids or dogs. A dog which you know nothing about has inherent risks, especially if it is a large or powerful breed. 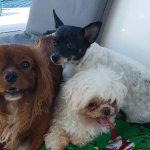 It is the nature of a dog to love her family, even a newly adopted family, but past trauma and neglect can have tragic consequences on a dog’s temperament. A nervous, terrified dog may behave unpredictably, and a dog with past traumas may have unknown triggers. 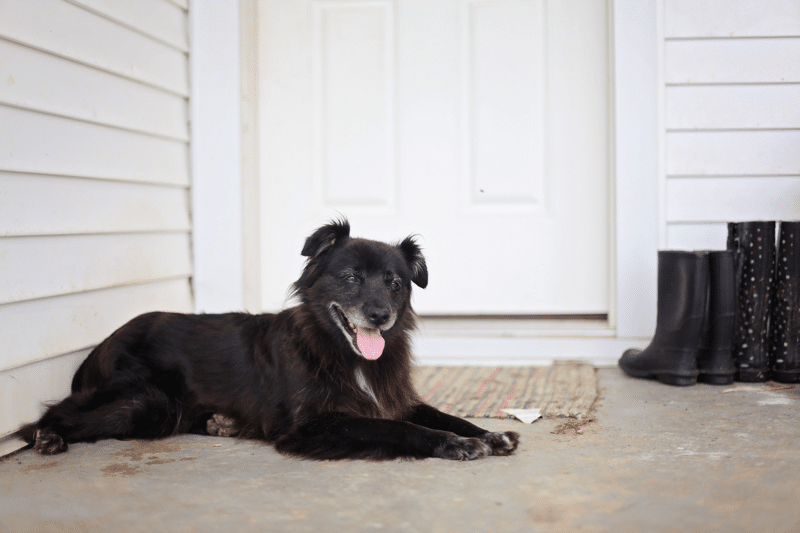 There are many more stories of happy adoption than of disaster, but bringing an animal into your home who has an unknown history can have unexpected consequences. 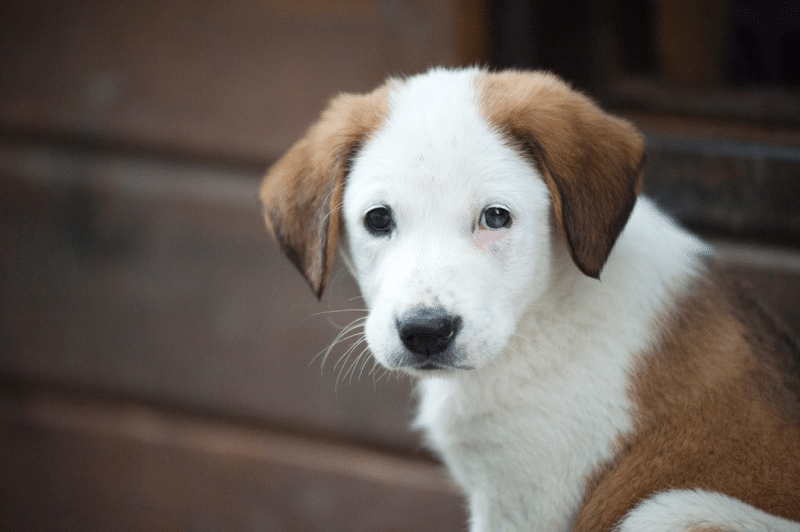 Even puppies that are rescued can develop physical or behavioral problems due to some unknown genetic predisposition or early experience or neglect. With a few exceptions, choosing to rescue a dog is a riskier proposition than buying a dog. Dogs have been bred for specific jobs for thousands of years, and the modern breeds available today are a reflection of humanity’s attempt to create the perfect dog for a variety of jobs, from companionship, to hunting, to retrieval. New breeds continue to develop every day, seeking to match the needs of a changing society. Choosing a breed gives you a high level of predictability in the dog your puppy will become, both physically and in personality. 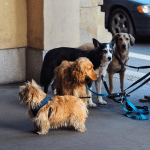 While each dog is an individual, and two dogs from the same litter may have very different personalities, well-bred dogs should exhibit particular breed characteristics that are predictable. The AKC lists traits for each breed, and while every pedigreed dog doesn’t perfectly adhere to these standards, you have a good chance of getting more or less the dog you expect. This is why so many people love a particular breed and continue choosing that breed throughout their lifetime. If you have a particular job or activity in mind for your dog a puppy of a suitable breed may offer the best chance of success. Activities like hunting, doing scent work, agility, or any number of canine sports and activities are suitable for particular breeds. You may also choose a breed to suit your lifestyle well. For instance, an Azawakh, Pharaoh hound, afghan, or Saluki can run with you in hot, dry conditions, while a Labrador, Poodle or Portuguese water dog have webbed feet that aid them in swimming. If cleanliness is important to you then choose a breed that tends to be naturally clean like a Dalmatian or a Saluki, or a dog that doesn’t shed like a poodle, Maltese, or Shih-Tzu. Even if you ask the questions above to choose a breeder, there can be real risks with choosing a puppy from a breeder. Well bred dogs can still develop genetic problems and diseases, especially if those diseases are prevalent in the breed. Dobermans and Weimaraners can develop Wobblers, Labradors are prone to hip and elbow dysplasia, and Dalmations and merle lines of many breeds are sometimes deaf or blind, or both. 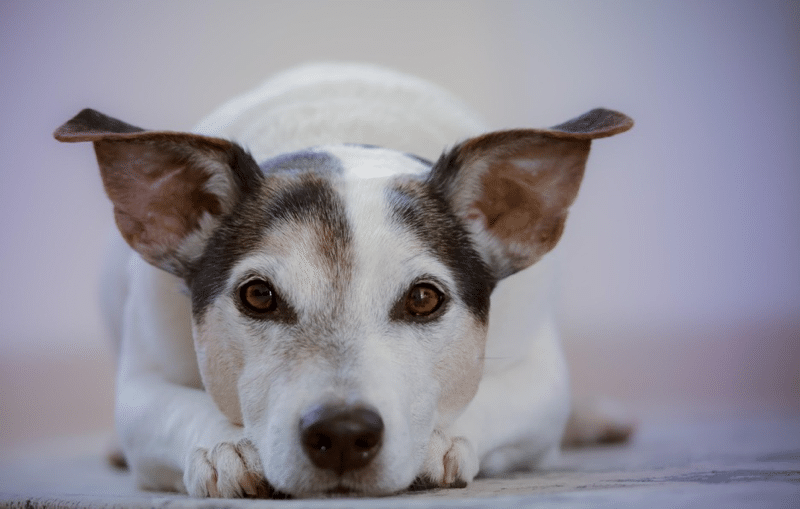 While some of these diseases can be ruled out by testing puppies or can be reduced by testing and only breeding healthy dogs, many breed prevalent diseases still persist in most lines of most breeds and may not come out until later in life. After paying a lot for a purebred, AKC pedigree dog, it can be heartbreaking to have to deal with medical bills. Sometimes diseases and conditions that are prevalent in a breed aren’t covered by insurance. These problems may not come out until later in life, when you and your family have bonded deeply with your dog. There isn’t much cuter than a puppy. Those wide, innocent eyes and silly little wagging tail could capture anyone’s heart. Raising a puppy into a happy, confident companion is a deeply rewarding experience. Puppies are adaptable and able to fit into your lifestyle whether you have other pets, children, or want to do a specific activity with your dog. There will be less concern with a puppy about past experiences, especially if you get a puppy from a responsible AKC registered breeder. In general, adopting a puppy gives you more control over the development of your dog and gives you the most possible time to enjoy with your dog. Puppies require extensive training to develop into a great companion for you. Potty training, chew training, and crate training is time-consuming and can be frustrating. Unless you and your family have a lot of time to devote to raising a puppy, you may want to think twice about this huge commitment. Rescuing an adult dog can be a deeply fulfilling experience. Dogs in shelters or rescues may have gone through all kinds of terrible experiences, but you can make a huge difference in a life. An adult dog who has finally found a human to love may appreciate you more than a puppy ever could. Furthermore, much of the work in training and rearing may already have been done for you. If you want a particular breed you don’t necessarily need to buy a puppy. 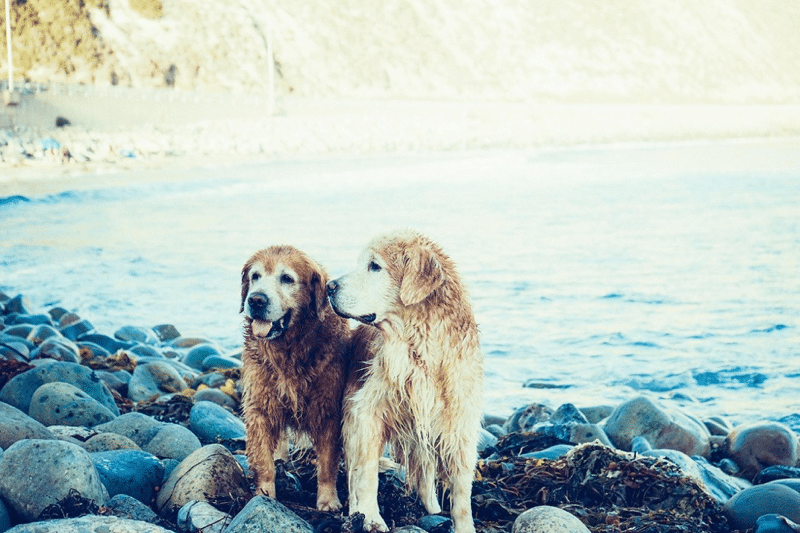 Breeders sometimes retire older dogs or rehome dogs that they had sold as puppies that are no longer wanted. Breed rescues can place adult dogs of particular breeds from all over the country. You can also get an adult dog directly from the owner who is rehoming. Such versatility allows you options, even in choosing a purebred dog. You’ll have less time to spend with an adult dog, and prior experiences may affect your life together. Adult dogs will take time to settle into your lifestyle and adjust to your expectations. Remember that choosing a new dog or puppy is a huge decision that should never be taken lightly or impulsively. Carefully ask yourself the questions considered in this article so you can be confident that you are making the best decision that you can. No matter what dog you choose or where you get her, remember that all dogs are individuals. Keep your mind open to exactly who your dog is, not who you expect her to be, and love her for the amazing dog that she is.